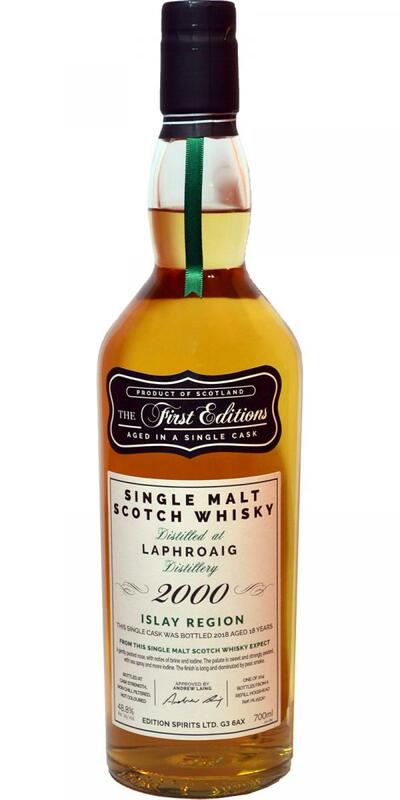 Here is everything what you expect from a more mature Laphroaig. But the slightly overcooked caramel clouded the impression a bit. Strong smoke with honey sweetness and a little iodine tincture. Slowly, the sweet notes outweigh, it is fruity. Some sweet and sour marinade comes along. Then the development goes nutty, with chocolate and coffee. Then the smoke sounds again. Slightly ashy this time. Smoky start with some ashes. In addition a chili sharpness. Then come the honey notes, which slowly develop into slightly burnt caramel. Some banana, pear, apple and a little disinfectant. Then smoke again and everything from scratch.